The Photo of the Week for this week was taken from my room last semester. 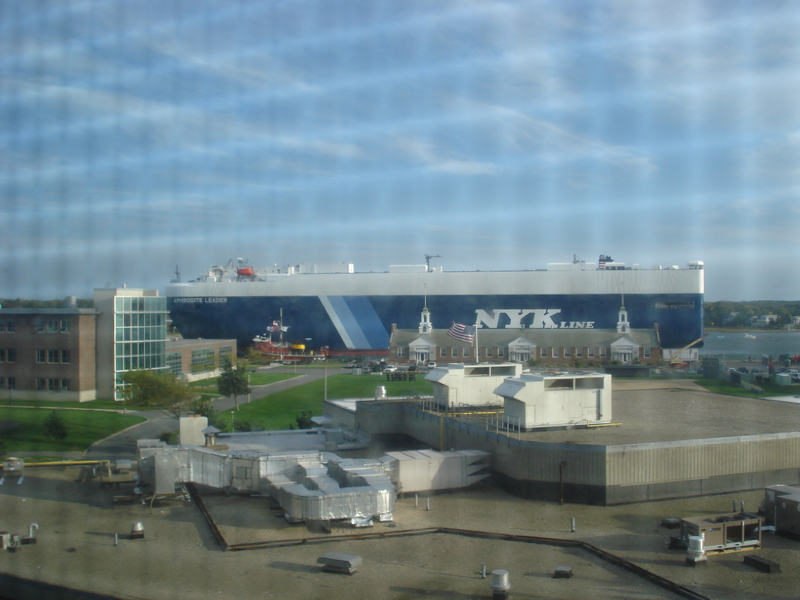 This is a RoRo (Roll-On Roll-Off) vehicle carrier ship, passing the Mass Maritime campus transiting the Cape Cod Canal. Notice how, even from my elevated angle on the 04 deck, it towers over everything on campus, including the Bresnahan Building (the one with the glass front), with a height of more than 3 stories!